If you have recently taken on the challenge of running your own business or are currently trying to get a new venture off the ground, one ongoing task that could prove particularly important is building new relationships to learn, share information and gain contacts. In short: networking. New contacts and business opportunities are not going to fall into your lap – you need to be proactive and put yourself in situations where you can meet people and develop prospects. That means taking every opportunity to attend industry exhibitions, relevant local groups, conferences and other events where you can build contacts. Don’t be afraid to go out of your comfort zone and try out new meetings and trade shows that could give rise to unexpected opportunities. Networking is not the same thing as selling. It can be an off-putting experience for someone who has attended an industry event to feel they are being put under pressure to buy another company’s products or services. As tempting as it might be to promote your business and seek out sales opportunities, it can prove just as valuable to simply talk to people, develop relationships and share knowledge. Contacts made through networking could come in useful as a future supplier or partner, as opposed to a customer. For some, having conversations and getting to know people comes naturally, but for others, it is a challenging skill that must be learned and honed. If confidence in communication is one area where you would like to improve, take every chance you get to practice talking to people, whether it’s a casual chat at the supermarket counter or a long family discussion at the dinner table. With plenty of practice, you will soon find that starting and maintaining conversations at networking events becomes infinitely easier. Before heading to an event offering potential networking opportunities, prepare by doing some background research on some of the subjects that are likely to come up and other firms that might be attending. If the event is focused on a very specific subject, knowing as much about it as possible will provide plenty of conversation starters. Having some useful nuggets of information about attending businesses could also help you to impress prospective clients. If you have had a particularly positive, constructive conversation with a potential client or partner, don’t waste time in following it up. The longer you wait in pursuing an opportunity, the bigger the risk that your new contact will forget your initial conversation or make different plans. When it comes to following up on first meetings, be proactive and forthright to show your interest in developing the relationship, but be careful of going too far and coming across as pushy. 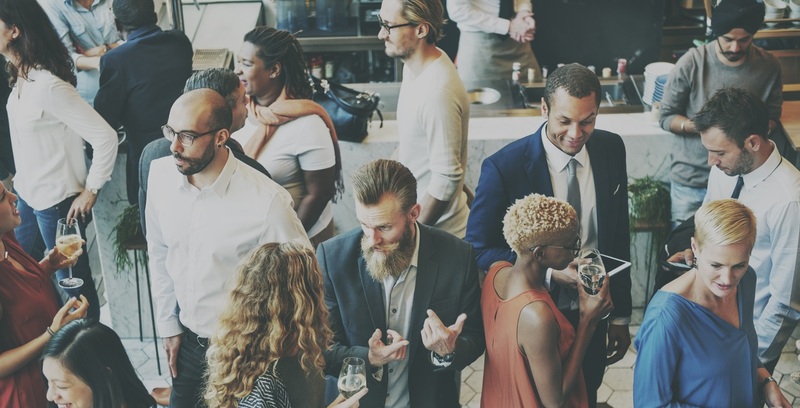 By combining these various tactics, it won’t be long before your business is reaping the many benefits that can result from effective networking.